sherri (Homepage) wrote: i remember this one and see i commented on it. i haven't been able to access your site. i haven't been able to access another blog either. my hubby thinks it's homeland security because of certain words linked with most probably the other site. it's been 2 months to the day and now i'm able. you don't have to publish this comment. i was going to email you and couldn't because i didn't have your email addy. Arjan - PlasticDaisy (Homepage) wrote: It's amazing how you managed to visually capture the light brushing the landscape! Wonderful! tom (Homepage) wrote: Wow! I love this kind of shots with sun rays bursting through the sky. Andrey Samolinov (Homepage) wrote: Fantastic light! Bravo! Andrés (Homepage) wrote: Wonderful light!!! Luiza (Homepage) wrote: Excellent! Beautiful Morning! Shell (Homepage) wrote: Phenomenal image of light. Marie (Homepage) wrote: vraiment magnifique, quelle lumière !! Wolfgang (Homepage) wrote: Love the light, these sunbeams and the atmosphere. Good work! Peter Klomp (Homepage) wrote: Great use of the graininess with this light! Françoise (Homepage) wrote: beautiful light! the landscape is splendid! buntagphoto (Homepage) wrote: That is a view to behold every morning. Lovely atmospheric perspective. Arnd (Homepage) wrote: A breathtaking photo of a gorgeous scene! 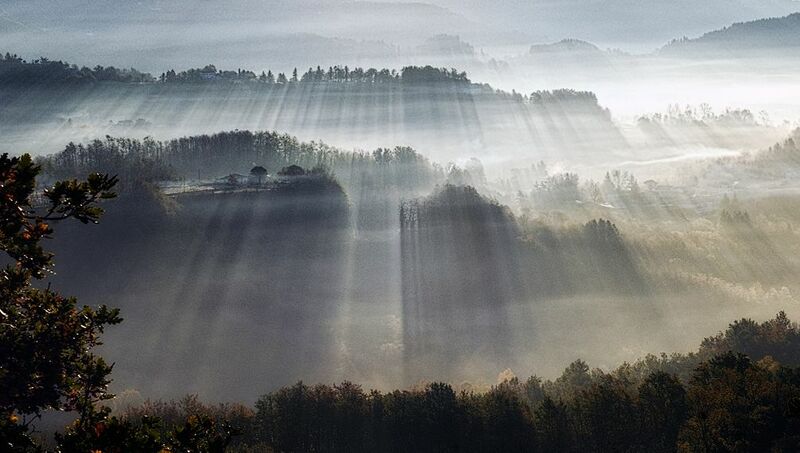 Love the sun rays through the mist.